– Recommended amount of use is every 2-3 days for natural hair and 1-2 times a week for permed or texturized hair. – For fine and oily hair types we recommend you use this product as a hot oil treatment before showering to avoid build up. 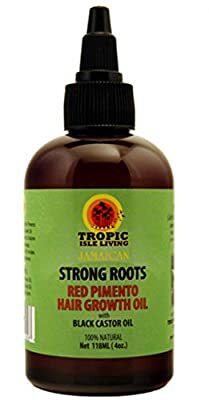 Jamaican Red Pimento Oil is extracted from the leaves of the pimento tree with a method called steamed distillation. Traditionally, it is used to heal muscular aches and pains as well as numb pains like toothaches and stomach aches. 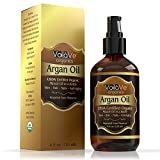 The oil is high in antioxidants, which means that when applies it will warm the body and the scalp to improve circulation thus bringing out the nutrients in your hair, speeding up the hair growth process, relieving your scalp of the unnecessary oils and toxins and slowing down the graying of hair. 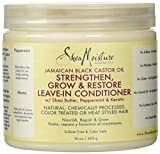 Try jamaican black castor oil serum with argan oil to stimulate hair growth, revitalize dull, dry and frizzy hair. Prevent dandruff and conditions scalp. Adds volume to hair. Slows graying hair.